This glossary of winemaking terms lists some of terms and definitions involved in making wine, fruit wine, and mead. The main aldehyde found in wines, most notably Sherry. One of the primary volatile acids in wine. The process through which acetic acid is produced in wine. A bacterium found in wine that causes acetification resulting in the conversion of wine to vinegar. The quality of wine that gives it its crispiness and vitality. A proper balance of acidity must be struck with the other elements of a wine, or else the wine may be said to be too sharp – having disproportionately high levels of acidity – or too flat – having disproportionately low levels of acidity. The three main acids found in wine are tartaric acid, malic acid and lactic acid. The first two come from the grapes and the third from Malolactic fermentation which often occurs in the winemaking process. The concentration of acids in the wine with positively charged hydrogen ions. Used to gauge the "total acidity" in the wine. Measured using the pH scale. A barrel, often made of oak, used to age wine or distilled spirits. Generally refers to ethanol, a chemical compound found in alcoholic beverages. It is also commonly used to refer to alcoholic beverages in general. A component of wine that is formed during the oxidation of alcohol. It is midway between an acid and an alcohol. Various substitutes used in the wine industry for sealing wine bottles in place of traditional cork closures. Protein found in wine grapes that are formed by fruit esters and consumed during the fermentation process and/or autolysis. They contribute to the sense of complexity in a wine. A type of ceramic vase, used for transporting and storing wine in ancient times. The opposite of aerobic, referring to a chemical process that takes place in the absence of oxygen. As a wine ages in a sealed wine bottle, it is going through anaerobic changes. The portion of a wine in an aging barrel that is lost to evaporation. 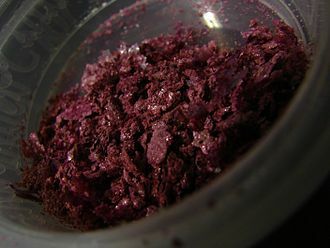 Phenolic pigments that give red wine its color. Chemicals, such as sulfur dioxide, that are used to prevent the grape must from oxidizing. A wine that has been flavored with herbs, fruit, flowers and spices. Examples: Vermouth, Retsina or mulled wine. An antioxidant used to prevent grape must from oxidizing. The characteristic of a chemical (like sulfur dioxide or sorbic acid) to kill unwanted or beneficial bacteria. The blending of base wines in order to create a final blend or cuvee. The measure of atmospheric pressure within a wine bottle. The average internal pressure inside a bottle of sparkling wine is 6 atmospheres. The breakdown of dead yeast cells (or lees) and the process through which desirable or undesirable traits maybe imparted to the wine. Wines that are deliberately aged sur lie such as Muscadet or some white Burgundies derive certain flavors and textures from this process. Blending unfermented, fresh grape juice into a fully fermented wine in order to add sweetness. Synonymous with the German winemaking technique Sussreserve. A wine fermented in oak barrels as opposed to stainless steel or concrete. Traditional with white Burgundies, some Chardonnays and some Champagne. French measurement of the sugar concentration in the juice or wine. A light sediment, chiefly mucilage, found in Port. A type of clay of volcanic origins used in wine as a clarifying agent. A white wine, usually sparkling, made exclusively from white grapes, often Chardonnay. A white wine, usually sparkling, made from red grapes. The mixing of two or more different parcels of wine together by winemakers to produce a consistent finished wine that is ready for bottling. Laws generally dictate what wines can be blended together, and what is subsequently printed on the wine label. A pale, pinkish color wine. It may refer to a sweet rosé such as White Zinfandel. Grapes that have been rotted by botrytis cinerea. The length of time that wine has been allowed to age and mature in bottle. Also known as bottle-sickness, a temporary condition of wine characterized by muted or disjointed fruit flavors. It often occurs immediately after bottling or when wines (usually fragile wines) are shaken in travel. After several days the condition usually disappears. The degree to which bottled wine of the same style and vintage can vary. Wine packaged in a bag usually made of flexible plastic and protected by a box, usually made of cardboard. The bag is sealed by a simple plastic tap. A wine spoilage yeast that produces taints in wine commonly described as barnyard or band-aids. A French term for a very dry Champagne or sparkling wine. Drier than extra dry. A stopper used to seal a bottle or barrel. Commonly used term for corks. Another name for Brandy, a liquor made from distilled wine. It is often the source of additional alcohol in fortified wines. The layer of grape skins that are forced by rising carbon dioxide gas to the top of the fermentation vessel during cuvaison. Carbon dioxide gas dissolved in the water content of wine. It is a volatile acid that held in equilibrium with the dissolved carbon dioxide gas and can not be isolated in a pure form. A natural by product of the fermentation process in which yeast cells convert sugar into nearly equal parts alcohol and carbonic gas. While a small amount stays presence in the wine as carbonic acid, most of the gas will rise to the surface of the fermentation vessel and attempt to escape into the air. If the fermentation vessel is closed (such as a sealed wine bottle used to make sparkling wine), the gas will dissolve into the wine and when released will make the wine sparkling. 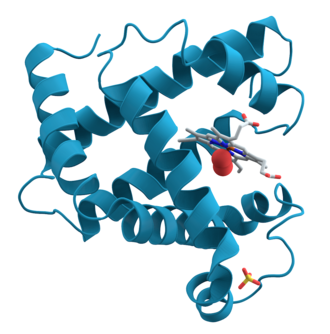 A fining agent derived from a milk protein. To age wine for the purpose of improvement or storage. The process of separating unwanted particles (such as dead yeast cells or fining agents) from the wine by use of centrifugal force. A filtration process of the wine that utilizes perlite and is able to fine the wine to an ultrafine degree. A winemaking process where sugar is added to the must to increase the alcohol content in the fermented wine. This is often done when grapes have not ripened adequately. The Charmat or bulk process is a method where sparkling wines receive their secondary fermentation in large tanks, rather than individual bottles as seen in Méthode champenoise. A winemaking process involving the fining and filtration of wine to remove suspended solids and reduce turbidity. 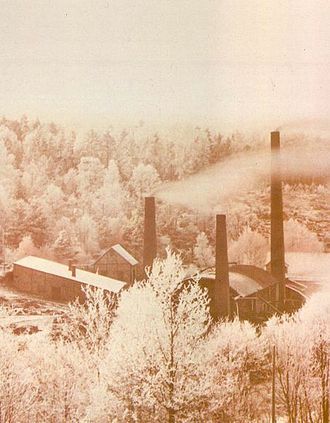 A winemaking process where wine is chilled to near freezing temperatures for several weeks to encourage the precipitation of tartrate crystals. Classification system used in the Armagnac and Cognac region based on the age of the spirit ranging from 00 for a newly distilled spirit to 2 for a VS ("Very Special"), 4 for a VSOP Reserve, 6 for a Napoleon XO (extra old) and 10 for the longest aged XO. Congeners that are produced throughout the winemaking process from fermentation through maturation and even distillation for spirits such as a Cognac. These compounds include aldehydes, esters and ketones which can influence the aroma and flavor of wine. A wine bottle stopper made from the thick outer bark of the cork oak tree. A type of wine fault describing undesirable aromas and flavors in wine often attributed to mold growth on chlorine bleached corks. French term for plotting the temperature and must density/sugar levels of an individual vat or tank of fermenting must to track its progress from the initiation of fermentation to dryness. Crossflow filtration: A highspeed form of microfiltration that has the wine flow across a membrane filter rather than through it. A beer bottle cap used as a temporary closure for a sparkling wine as it undergoes a secondary fermentation. After harvest, and prior to pressing, grape are "crushed" or broken up so that the juice is released and allowed to macerate with the skins prior to and during fermentation. In viticultural terms, "Crush" is used as a synonym for harvest time. A blending term used to refer to either blending a wine with one distinct characteristic (such as high acidity) into a wine that currently dominated by the opposite characteristic (such as low acidity). It can also mean blending a red wine with a white wine in order to make a rosé. Cutting may also refer to the illegal practice of diluting a wine with water. The French term tailles or "cut" refers to the point during pressing when the quality of the grape juices degrades. The first tailles is the free-run juice followed by successive pressing. A large vat used for fermentation. Cuve Close Alternative name for the Charmat method of sparkling wine production. A wine blended from several vats or batches, or from a selected vat. Also used in Champagne to denote the juice from the first pressing of a batch of grapes. Refers to a process in which the must of a white wine is allowed to settle before racking off the wine, this process reduces the need for filtration or fining. The disgorging or removal of sediment from bottles that results from secondary fermentation. French term for racking with the purpose of removing harsh tannins from the wine in the form of grape seeds. In this process the wine is drained into a secondary vessel, allowing the cap to settle to a bottom and loosen the seeds that are trapped in the pulps. As the wine drains, a filter captures the seeds and removes them from the wine. The wine is then returned the first vessel. A large oak barrel that holds 159 gallons (600 liters). In between the petit foudre and the barrique. A means of filtering a wine that takes solely inside filtration medium, such as a kieselguhr, rotary drum vacuum or a frame filter. The process of separating red must from pomace, which can happen before or after fermentation. 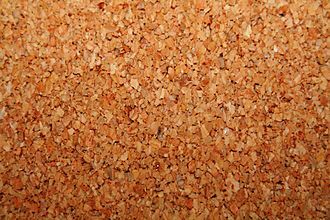 Very fine particles of sedimentary rock used for filtering wine. Also known as D.E. or Kieselghur. Spanish winemaking term describing a wine that is macerated with double the normal ratio of grape skins to juice. This is achieved by the winemaker bleeding off and disposing of extra juice in order to increase the ratio of grape skin and concentration of phenolic compounds. 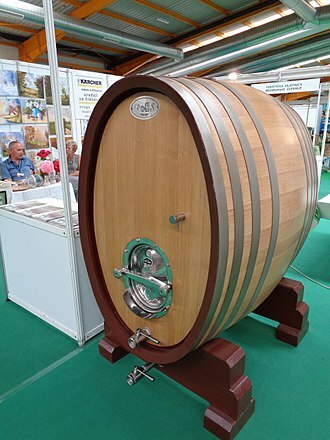 A German oak barrel that holds 635 gallons (2,400 liters). Wines with zero or very low levels of residual sugar. The opposite of sweet, except in sparkling wines, where dry means sweet. A technique of fining that uses the whites of eggs to attract negatively charged matter. American English spelling of oenology, the study of wine. French for "in pulling", refers to the period of time in which bottled sparkling wine is rested in contact with lees generated during secondary fermentation. Part of the Méthode Champenoise process. A protein created by yeast that act as a bio-chemical catalysts in grape or wine development. An example would be the enzyme invertase which aids the storage of sugars within individual grape berries. Compounds formed in wine either during fermentation or the wine's aging development that contribute to a wine's aroma. Portuguese term for the process where Madeira is heated in estufas (ovens) and then cooled to create the unique flavors and texture of the wine. Also known as "ethyl alcohol". The primary alcohol in wine and most other alcoholic beverages. The alcohol content of a wine contributes to its body. Everything in a wine except for water, sugar, alcohol, and acidity, the term refers to the solid compounds such as tannins. High levels of extract results in more colour and body, which may be increased by prolonging the wine's contact with the skins during cuvaison. A champagne or sparkling wine with a small amount of residual sugar (slightly sweet). Not as dry as Brut. The point when a wine becomes limpid, or clear, after all the cloudy sediments falls to the bottom of container. The wine is then usually racked over the sediment or, in the case of sparkling wine, disgorged. An unpleasant characteristic of wine resulting from a flaw with the winemaking process or storage conditions. The "tails" of alcohol spirits leftover at the end of distillation in the production of Cognac. These are usually low in alcohol and may be re-distilled or blended with the "heart" (distillate with 70% ABV taken after the "heads" are produced) to add flavor to the Cognac. A chemical reaction in winemaking. In alcoholic fermentation it is the conversion of sugars to alcohol by yeast while in malolactic conversion it is the conversion of malic acid to lactic by bacteria. A French wine barrel with the capacity to hold 30 gallons (114 liters) in Burgundy and 35 gallons (132 liters) in Chablis. The removal of unwanted particles suspended in wine or grape juice. A clarification process where flocculants, such as bentonite or egg white, are added to the wine to remove suspended solids. Fining is considered a more gentle method of clarifying a wine than filtering. The first press, after the free run juice has been collected, that contains the clearest and cleanest juice that will come out of pressing. A measurement of "total acidity" (TA), including tartaric, malic and lactic, of a wine minus the volatile acids. The molecules of sulfur dioxide that binds with sugar and acids in the wine. This leaves the unbound "free sulfur" to combine with molecules of oxygen in order to prevent oxidation. A procedure different from full pasteurization where the wine is subjected to high temperatures around 176°F (80°C) for intervals of 30-60 seconds. The yeast responsible for the character of dry Sherries. The process of adding pure alcohol or very strong (77 to 98 proof) grape spirit to a wine. Depending on when the alcohol is added, either before, during or after fermentation, this can result in a wine with a high alcohol content and noticeable sweetness. A generic French term for a large wooden vat between 20 and 120 hectoliters. The active element of sulfur dioxide that combined with molecules of oxygen to prevent oxidation. For more details see fixed sulfur above. Juice obtained from grapes that have not been pressed. A fermented alcoholic beverage made from non-grape fruit juice which may or may not include the addition of sugar or honey. Fruit wines are always called "something" wines (e.g., plum wine), since the word wine alone is often legally defined as a beverage made only from grapes. A wine that was allowed to complete the process of fermentation without interruption to produce a wine that is completely dry. Also known as Fusel oils. By-products of fermentation and distillation that are encountered in small quantities in winemaking that can contribute to a wine's complexity. Yeast naturally produce propyl alcohol, isobutyl alcohol, isoamyl and amyl alcohol as fusel oils with the distillation process able to produce even larger long-chain hydrocarbons that can be potentially unpleasant tasting and toxic. These are usually found in the "tails" fraction of a distillate which is often discarded. Generic French term for an oak cask where wines are fermented and/or aged. A fining agent used to remove excessive amounts of tannins and other negatively charged phenolic compounds from the wine. A chemical compound found in wine grapes that is responsible for some earthy aromas and flavors. Geosmin is also found in beets and potatoes. The free-run or pressed juice from grapes. Unfermented grape juice is known as "must." In Cognac production, this is the first fraction of alcohol spirit that is collected during the distillation process which includes volatile alcohol compounds, ethanol and potentially toxic alcohols such as methanol. This fraction is discarded. A wine barrel that holds approximately 63 gallons (239 liters). 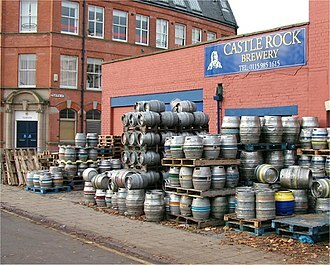 A hogshead holds approximately 300 litres, not 239 liters. 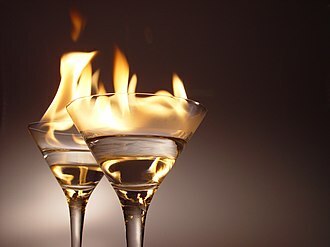 The combination of hydrogen and sulfur dioxide which can produce a fault in the wine reminiscent of the smell of rotting eggs that may eventually develop in the bottle into mercaptans. A clarifying agent which is a form of collagen derived from fish. A liquid which is expressed from a fruit or vegetable matter. The acid in wine formed during the process of malolactic fermentation. A traditional Portuguese concrete vessel used for treading grapes by foot. A term, often abbreviated as LD on sparkling wine labels, that means the wine was recently disgorged after spending an extended period aging on its lees. A process of oak barrel production during which some tannins are deliberately removed from the wood by steaming. The viticultural term refers to the loss of certain qualities of the soil, such as pH, when rainwater removes or "leaches out" carbonates from the soil. Wine sediment that occurs during and after fermentation, and consists of dead yeast, grape seeds, and other solids. Wine is separated from the lees by racking. French term for a liquid containing saccharose and yeast used to effect the second fermentation in sparkling wine production. French term for "shipping liquid" or dosage, used to top up and possibly sweeten sparkling wine after disgorging. Usually a solution of saccharose in base wine. The contact of grape skins with the must during fermentation, extracting phenolic compounds including tannins, anthocyanins, and aroma. See also cuvaison. A wine showing Madeira-like flavor, generally evidence of oxidation. Sometimes used to describe white wine that has been kept long past its prime. The complex chemical reaction between amino acids and sugar in the wine or grapes. During the raisining process of grapes, such as in the production of straw wine, the Maillard reaction process play a vital role in concentrating the flavors of the grapes. During sparkling wine production, the amino acids created during the autolysis process reacts with the residual sugar of the wine to create a series of aromas and flavors associated with premium quality Champagne. A strong tasting acid in wine reminiscent of the flavor of green (unripe) apples. The amount of malic acid in grapes is gradually reduced during the ripening process while the grapes are on the vine and can be further reduced during winemaking by fermentation and malolactic fermentation. Also known as malo or MLF, a secondary fermentation in wines by lactic acid bacteria during which tart tasting malic acid is converted to softer tasting lactic acid, during which carbon dioxide is generated. A nitrogen rich protein secreted by dead yeast cells during the autolysis process that occur while the wine ages on its lees. The distillate made from pomace. 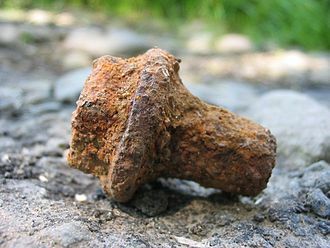 The term can also refer to the pomace itself or, in the Champagne region, to individual press fractions from the traditional vertical wine press. A wine-like alcoholic beverage made of fermented honey and water rather than grape juice. A process of filtration that uses a thin screen of biologically inert material, perforated with microsize pores that capture matter larger than the size of the holes. Chemical compounds formed by the reaction of ethyl and methyl alcohol with hydrogen sulfide to produce a wine fault that creates odors in the wine reminiscent of burnt rubber, garlic, onions or stale cabbage. (aka Methode Traditionelle, Traditional Method) Process whereby sparkling wines receive a second fermentation in the same bottle that will be sold to a retail buyer. Compare with Charmat, transfer or bulk fermented methods. A method of sparkling wine production similar to the Champagne method except there is no secondary fermentation. Rather the wine bottled before the primary fermentation has completed, trapping the resulting carbon dioxide gas, and leaving the residual sediment in the wine. The controlled exposure of wine to small amounts of oxygen in the attempt to reduce the length of time required for maturation. A winemaking technique often used for experimental batches of wine where the wine is fermented in small, specialized vats. French term for fresh grape juice that has had alcohol added to it (Fortification) before fermentation has started. This results in a generally sweet wine. A winemaking abbreviation for "Material Other than Grapes". Usually refers to debris like leaves, dirt and stems that can be unintentionally harvested with the grapes. Unfermented grape juice, including pips (seeds), skins and stalks. The level of fermentable sugars in the must and the resultant alcohol content if all the sugar was converted to ethanol. The most commonly used wood source for fermentation vessel and barrel aging. 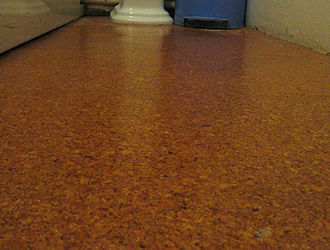 Oak influence can also be imparted to a wine by the used of oak chips or staves. The science of wine and winemaking. A wine that has the barest hint of sweetness; a slightly sweet wine in which the residual sugar is barely perceptible. A style of winemaking using organically grown grapes and a minimum amount of chemical additives such as sulfur dioxide. The tendency of water of within two solutions separated by a semipermeable membrane to travel from a weaker solution to the more concentrated one to achieve equilibrium. In winemaking, osmotic pressure is observed in yeast cells added to grape must with a high sugar content. The water in the yeast cell escapes through the cell membrane into the solution causing the cell to experience plasmolysis, caving in on itself and dying. The degradation of wine through exposure to oxygen. In some aspects oxygen plays a vital role in fermentation and through the aging process of wine. But excessive amounts of oxygen can produce wine faults. Oxygen transmission rate. A factor of cork closures which shows some variation in their oxygen transmission rate, which translates to a degree of bottle variation. A technique of filtering wine that involves running the wine through a series of pads made of asbestos, cellulose or thin paper sheet. A method of straw wine production that involves drying bunches of grapes in a special room in order to dehydrate them and concentrate flavors. In some circumstances the grapes maybe left on the vine to dry out in a method similar to the French technique of passerillage. An umbrella term for various methods of sterilization and stabilization of the grape must. An enzyme added to fruit to increase juice yield. Also used as a clarifying agent in fruit wines when added to wine or must to eliminate pectin hazes. 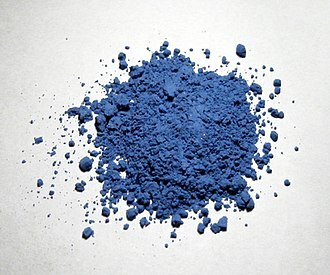 A fine, powder-like substance of volcanic origins that is sometimes used for ceramic filtration. It has many of the same filtering properties as diatomaceous earth. A measure of the acidity. The lower the pH, the higher the acidity. The term pH is a shorthand for a mathematical approximation: in chemistry a small 'p' is sometimes used in place of writing log10 and the 'H' in pH represents [H+], the concentration of hydrogen ions (usually termed 'hydronium ions' or 'protons'). Compounds found in the seeds, skins and stalks of grapes that contribute vital characteristics to the color, texture and flavor of wine. Two of the most notable phenols in wine include anthocyanins which impart color and tannins which add texture and aging potential. 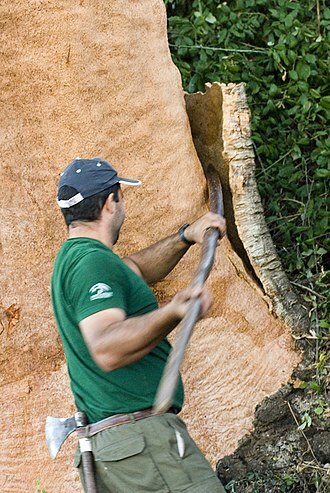 A Portuguese oak barrel with the capacity of 145 gallons (550 liters). An ultrafine means of filtration usually done with kieselguhr or perlite that leaves a wine with exceptionally bright clarity – giving the impression that it has been polished. Premium wines will often decline polishing because ultra fine precision can also remove flavor and phenolic compounds that may diminish the quality and aging potential of the wine. A fining agent, more commonly abbreviated as PVPP, used in white wine production to remove compounds that can contribute to premature browning of the wine. The skins, stalks, and pips (seeds) that remain after making wine. Also called marc. The time a sparkling wine spend aging in the bottle between when it has been disgorged to when the bottle is opened for consumption. A wine stabilizer and preservative. Distillation vessel, usually made of copper, used in the production of Cognac and other alcohol spirits. Usually a wash will be distilled twice with three fractions (heads, hearts and tails) coming from each distillation. The time prior to fermentation that the grape must spends in contact with it skins. This technique may enhance some of the varietal characteristics of the wine and leech important phenolic compounds out from the skin. This process can be done either cold (also known as a "cold soak") or at warmer temperatures. Refers to the alcohol content of a beverage. In the United States, proof represents twice the alcohol content as a percentage of volume. Thus, a 100 proof beverage is 50% alcohol by volume and a 150 proof beverage is 75% alcohol. In the Imperial system, proof, (or 100% proof), equals 57.06% ethanol by volume, or 48.24% by weight. Absolute or pure ethanol is 75.25 over proof, or 175.25 proof. A condition in wines with an excessive amount of protein particles. These particles react with tannins to create a cloudy, hazy appearance in the wine. This condition is rectify with the use of a fining agent, such as bentonite, to remove the proteins. An A-frame rack used in the production of sparkling wine. The drilled holes in the boards allow sparkling wine bottles to go through the riddling process to slowly move the leftover sediment from secondary fermentation into the neck for removal. In Hungary, the measurement of sweetness levels for Tokaji ranging from 3 Puttonyos, which contains at least 60 grams/liter of sugar, to 6 Puttonyos containing at least 150 g/l of sugar. A group of aromatic compounds in grapes that contribute to some of the green herbaceous notes in wine from the green bell pepper notes in some Cabernet Sauvignon to the grassy notes of some Sauvignon blanc. In red wines, the abundance of pyrazines can be a sign that the grapes came from vines with vigorous leaf canopy that impeded the ripening process of the grapes. The process of drawing wine off the sediment, such as lees, after fermentation and moving it into another vessel. French and Spanish term for a fortified wine that has been madeirized, often by storage in oak barrels for at least two years often exposed to direct sunlight. Rancio wines are often found in the Roussillon region of France and in various Spanish regions. A liqueur made by combining unfermented grape juice with a brandy made from the residue of seeds, skins and grape stalks left over from pressing. The second column used in a patent still during the production of some wine-based spirits where the vapor from the analyzer containing the alcohol spirits is separated into fractions through a process of several "mini-distillations" taking place between segments of perforated plates. French term for the process of pulling out wine from underneath the cap of grape skins and then pumping it back over the cap in order to stimulate maceration. In sparkling wine production, these are the still wines kept over from previous vintages in order to blend with the product of a current vintage in order to improve quality or maintain a consistent house style with a non-vintage wine. The unfermented sugar left over in the wine after fermentation. All wines, including those labeled as "dry wines" contain some residual sugars due to the presence of unfermentable sugars in the grape must such as pentoses. A process used to remove excess water or alcohol from wine. Also known as "Remuage" in French, part of the Méthode Champenoise process whereby bottles of sparkling wine are successively turned and gradually tilted upside down so that sediment settles into the necks of the bottles in preparation for degorgement. An Italian method of winemaking that involves putting a wine through a secondary fermentation on the lees from a previously made recioto wine. This method is common in the Valpolicella area among Amarone producers who make a secondary Ripasso wine. Pink wines are produced by shortening the contact period of red wine juice with its skins, resulting in a light red colour. These wines are also made by blending a small amount of red wine with white wine. A winemaking tool that uses specific gravity to measure the sugar content of grape juice. Pronounced "sahn yay" is the removal of grape juice from the "must" before primary fermentation to increase a wines skin/juice ratio. Typically done after 24 hrs of cold soak and prior to inoculation. An alternative to cork for sealing wine bottles, comprising a metal cap that screws onto threads on the neck of a bottle. Also called a "Stelvin". French for dry, except in the case of Champagne, where it means semi-sweet. Most commonly the term is used to refer to the continuation of fermentation in a second vessel – e.g. moving the wine from a stainless steel tank to an oak barrel. The Australian meaning of this term is malo lactic fermentation MLF, as distinct from primary fermentation, the conversion of sugar to alcohol. A process used to systematically blend various vintages of Sherry. An acid that can be added to wine in order to halt yeast activity and alcohol production – such as in the production of some sweet wines. If a wine goes through malolactic fermentation when there is a significant amount of sorbic acid present, the wine can develop a fault characterized by a strong odor of crushed geraniums. A wine that starts out as a lighter bodied and perhaps weaker flavor that is blended with a stronger, more robust wine. A process of adding carbonic gas to a wine just before bottling in order to add some slight effervescence to the wine. Used to reduce the amount of alcohol in a wine. The process of decreasing the volatility of a wine by removing particles that may cause unwanted chemical changes after the wine has been bottled. In winemaking wines are stabilized by fining, filtration, adding sulfur dioxide or techniques such as cold stabilization where tartrate chemicals are precipitated out. An additive such as potassium sorbate which is added to wines before they are sweetened. Unlike sulfites, these products do not stop fermentation by killing the yeast, rather they prevent re-fermentation by disrupting the reproductive cycle of yeast. Cutting or diluting a wine with water, often used to lower the alcohol level of the wine. In many wine regions this practice is illegal. Wine that is not sparkling wine. A production method of artificially mellowing wine by exposing it to heat. A fermentation that has been halted due to yeast prematurely becoming dormant or dying. There are a variety of causes for a stuck fermentation including high fermentation temperatures, yeast nutrient deficiency, or an excessively high sugar content. Compounds (typically: potassium metabisulfite or sodium metabisulfite) which are added to wine to prevent oxidation, microbial spoilage, and further fermentation by the yeast. A substance used in winemaking as a preservative. A winemaking practice that involves prolonged aging on the dead yeast cells (the lees). French term for a sparkling wine that has been aged with its neck down following the completion of autolysis but before dégorgement. Wines that are being riddled (remuge) will end up sur pointe with the yeast sediment consolidated in the neck of the bottle. A reserve of unfermented grape juice that is added to wines as a sweetening device. Defined by the level of residual sugar in the final liquid after the fermentation has ceased. However, how sweet the wine will actually taste is also controlled by factors such as the acidity and alcohol levels, the amount of tannin present, and whether the wine is sparkling. In the distillation process used in Cognac and Armagnac production, this is the third fraction that is collected from a pot still that usually contains a large number of less volatile compounds and alcohols, many of which are toxic with this fraction being discarded. Also known as the "Charmat" or "Cuve close" method where the secondary fermentation of sparkling wine production takes place under pressure within a sealed tank. Phenolic compound that give wine a bitter, dry, or puckery feeling in the mouth while also acting as a preservative/anti-oxidant and giving wine its structure. 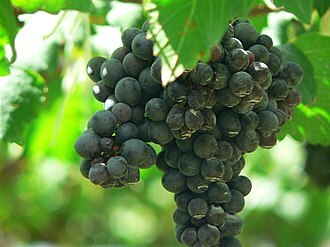 It is derived from the seeds (pips), skins and stalks of grapes. The primary acid found in wine that is detectable only on the palate. Prior to veraison, the ratio of tartaric and malic acid in grapes are equal but as malic acid is metabolized and used up by the grapevine, the ratio of tartaric sharply increases. Crystalline deposits of the tartaric acids that precipitate out of the wine over time or through exposure to cold temperatures such as the process of cold stabilization. An abbreviation for trichloroanisole which is the prime cause of wines developing the wine fault of cork taint. A class of unsaturated hydrocarbons that are responsible for certain aromas that are characteristic of a grape variety such as the petrol notes of mature Riesling or the floral aromas of Muscats. The juice that comes from the very first pressing of the grapes. After the free run juice, this is the highest quality juice with the best balance of phenols, sugars and acids. The charring of the wine staves during cask manufacture or rejuvenation. French cask capable of holding 900 litres (240 US gal) or the equivalent of 100 cases of twelve standard 750ml (75 cL) bottles of wine. The process of filling the headspace that is created inside a barrel through wine evaporation into the barrel wood. The total amount of acidity (Tartaric, latic, malic, etc) in a wine as measured in grams per liter. A method of sparkling wine production associated with the Champagne wine region where wine undergoes secondary fermentation in the exact bottle that will be eventually sold to the customer. A method of sparkling wine production where a wine undergoes normal secondary fermentation in the bottle but then after the bottles are open, its contents transferred to a tank where they are filtered and then rebottled in small "splits" or large format size bottles. Also known as transvasage. A wine cask that holds approximately, two butts, or 252 U.S. gallons. Also known as headspace, the unfilled space in a wine bottle, barrel, or tank. Derived from the French ouillage, the terms "ullage space" and "on ullage" are sometimes used, and a bottle or barrel not entirely full may be described as "ullaged". It also refers to the practice of topping off a barrel with extra wine to prevent oxidation. A means of removing water from grape must at a lower temperature than standard distillation/boiling which could also burn off the delicate flavors and aromas of wine. Within a vacuum, the pressure on the liquid is reduced allowing the must to boil at between 25 °C (77 °F) to 30 °C (86 °F) which can cause much less damage to the wine. In winemaking, this technique is sometimes used in vintages where late harvest rains has caused the grapes to swell with water, diluting the flavor and potential alcohol level of the wines. Winemaking technique where the volatile acidity of a wine is deliberately elevated in order to enhance the fruitiness of wines that are meant to be consumed young. An aldehyde found naturally in oak that imparts a vanilla aroma in wine. French term (now English also) for the onset of ripening of the grape cluster. Fortified wine boltered with alcohol prior to fermentation. French for "straw wine", a dried grape wine. The dark, tannic wine produced from pressing the cap of grape skins. A French rosé that spends only one night in contact with the red grape skins. A sour-tasting, highly acidic, liquid made from the oxidation of ethanol in wine, cider, beer, fermented fruit juice, or nearly any other liquid containing alcohol. The art and science of making wine. Also called enology (or oenology). Not to be confused with viticulture. French for "yellow wine", a wine fermented and matured under a yeast film that protects it, similar to the flor in Sherry production. An enclosed fermentation tank with rotating blades that operates similar to a cement mixer with the propose of maximizing extraction during maceration and minimizing the potential for oxidation. Acids that are detectable on both the nose and the palate. The level of fatty or volatile acids in a wine that are capable of evaporating at low temperatures. Acetic and carbonic acids are the most common volatile acids but butyric, formic and propionic acids can also be found in wine. Excessive amounts of VA are considered a wine fault. Phenolic compounds found in wine that may contribute to off odors and flavors that are considered wine faults. The most common types of volatile phenols found in wine are ethyl and vinyl phenols. To a limited degree some volatile phenols may contribute pleasing aromas that add to a wine's complexity, such as ethyl-4-guaiacol which imparts a smokey-spicy aroma. An alcoholic beverage made from the fermentation of unmodified grape juice. A large cave that is excavated to provide a cool location for storing and aging wine. Similar to wine cellar. A cool, dark location in which wine is stored, often for the purpose of ageing. Undesirable characteristics in wine caused by poor winemaking techniques or storage conditions. A person engaged in the occupation of making wine. A device, comprising two vats or receptacles, one for trodding and bruising grapes, and the other for collecting the juice. A building, property, or company that is involved in the production of wine. The various esters that a wine picks up from exposure to new oak. These lactones are responsible for the creamy and coconut aromas and flavors that develop in a wine. A microscopic unicellular fungi responsible for the conversion of sugars in must to alcohol. This process is known as alcoholic fermentation. The enzymes within yeast cells that each act as a catalyst for a specific activity during the fermentation process. There are at least 22 known enzymes that are active during fermentation of wine. ^ Parker, Robert M. Jr. erobertparker.com. A Glossary of Wine Terms. ^ Kissack, Chris, thewinedoctor.com. "Wine Glossary: E". ^ Goode, Jamie, Ph.D. Wines & Vines (August 2008). "Finding Closure". Archived from the original on 2009-04-10. ^ winepros.com.au. Oxford Companion to Wine. "ullage". Anthocyanins are water-soluble vacuolar pigments that may appear red, purple, or blue depending on the pH. They belong to a parent class of molecules called flavonoids synthesized via the pathway, they are odorless but flavorful. Anthocyanins occur in all tissues of plants, including leaves, roots, flowers. Anthoxanthins are clear, white to yellow counterparts of anthocyanins occurring in plants, anthocyanins are derived from anthocyanidins by adding sugars. Anthocyanins have an antioxidant role in plants against reactive oxygen species caused by abiotic stresses, such as overexposure to ultraviolet light, tomato plants protect against cold stress with anthocyanins countering reactive oxygen species, leading to a lower rate of cell death in leaves. Anthocyanins are considered secondary metabolites as an additive with E number E163, they are approved for use as a food additive in the EU, Australia. Although anthocyanins have antioxidant properties in vitro, this antioxidant effect is not conserved after the plant is consumed, as interpreted by the Linus Pauling Institute and European Food Safety Authority, dietary anthocyanins and other flavonoids have little or no direct antioxidant food value following digestion. The absorbance pattern responsible for the red color of anthocyanins may be complementary to that of green chlorophyll in photosynthetically active tissues such as young Quercus coccifera leaves and it may protect the leaves from attacks by plant eaters that may be attracted by green color. Anthocyanins are found in the vacuole, mostly in flowers and fruits but in leaves, stems. In these parts, they are predominantly in outer cell layers such as the epidermis. Most frequently occurring in nature are the glycosides of cyanidin, malvidin, peonidin, roughly 2% of all hydrocarbons fixed in photosynthesis are converted into flavonoids and their derivatives such as the anthocyanins. Not all land plants contain anthocyanin, in the Caryophyllales, they are replaced by betalains and betalains have never been found in the same plant. Sometimes bred purposely for high anthocyanin quantities, ornamental plants such as sweet peppers may have unusual culinary, anthocyanins occur in the flowers of many plants, such as the famously blue poppies of some Meconopsis species and cultivars. Evaporation is a type of vaporization of a liquid that occurs from the surface of a liquid into a gaseous phase that is not saturated with the evaporating substance. The other type of vaporization is boiling, which is characterized by bubbles of saturated vapor forming in the liquid phase, steam produced in a boiler is another example of evaporation occurring in a saturated vapor phase. Evaporation that occurs directly from the solid phase below the melting point, on average, a fraction of the molecules in a glass of water have enough heat energy to escape from the liquid. The water in the glass will be cooled by the evaporation until an equilibrium is reached where the air supplies the amount of heat removed by the evaporating water, in an enclosed environment the water would evaporate until the air is saturated. With sufficient temperature, the liquid would turn into vapor quickly, when the molecules collide, they transfer energy to each other in varying degrees, based on how they collide. Sometimes the transfer is so one-sided for a molecule near the surface that it ends up with energy to escape. Evaporation is an part of the water cycle. The sun drives evaporation of water from oceans, moisture in the soil, in hydrology and transpiration are collectively termed evapotranspiration. Evaporation of water occurs when the surface of the liquid is exposed, allowing molecules to escape and form water vapor, when only a small proportion of the molecules meet these criteria, the rate of evaporation is low. Since the kinetic energy of a molecule is proportional to its temperature, as the faster-moving molecules escape, the remaining molecules have lower average kinetic energy, and the temperature of the liquid decreases. This phenomenon is called evaporative cooling and this is why evaporating sweat cools the human body. Evaporation tends to proceed quickly with higher flow rates between the gaseous and liquid phase and in liquids with higher vapor pressure. For example, laundry on a line will dry more rapidly on a windy day than on a still day. The color of wine is one of the most easily recognizable characteristics of wines. Color is an element in wine tasting since heavy wines generally have a deeper color, the accessory traditionally used to judge the wine color was the tastevin, a shallow cup allowing one to see the color of the liquid in the dim light of a cellar. The color is an element in the classification of wines, the color of the wine mainly depends on the color of the drupe of the grape variety. The Teinturier grape is an exception in that it has a pigmented pulp, the blending of two or more varieties of grapes can explain the color of certain wines, like the addition of Rubired to intensify redness. Red drupe grapes can produce white wine if they are quickly pressed, the color is mainly due to plant pigments, notably phenolic compounds. The color depends on the presence of acids in the wine, the use of a wooden barrel in aging affects the color of the wine. The color of a wine can be due to co-pigmentation of anthocyanidins with other non-pigmented flavonoids or natural phenols. Rosé wine is made by the practice of saignée or by blending a white wine with a red wine, the presence of a complex mixture of anthocyanins and procyanidins can increase the stability of color in wine. As it ages, the wine undergoes chemical reactions involving acetaldehyde of its pigments molecules. The newly formed molecules are stable to the effect of pH or sulfite bleaching. The new compounds include pyranoanthocyanins like vitisins and portosins, malvidin glucoside-ethyl-catechin is a flavanol-anthocyanin adduct. Flavanol-anthocyanin adducts are formed during wine ageing through reactions between anthocyanins and tannins present in grape, with yeast metabolites such as acetaldehyde, acetaldehyde-induced reactions yield ethyl-linked species such as malvidin glucoside-ethyl-catechin. This compound has a better stability at pH5.5 than malvidin-3O-glucoside. When the pH was increased from 2.2 to 5.5, the exposure of wine to oxygen in limited quantities can be beneficial to the wine. Castavinols are another class of colorless molecules derived from colored anthocyanin pigments, in model solutions, colorless compounds, such as catechin, can give rise to new types of pigments. Sherry is a fortified wine made from white grapes that are grown near the town of Jerez de la Frontera in Andalusia, Spain. 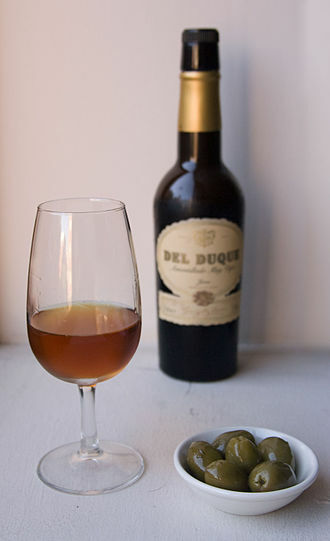 Sweet dessert wines are made from Pedro Ximenez or Moscatel grapes. The word Sherry is an anglicisation of Xeres, Sherry was previously known as sack, from the Spanish saca, meaning extraction from the solera. In 1933 the Jerez Denominación de Origen was the first Spanish denominación to be recognised in this way. Jerez-Xeres-Sherry and sharing the same governing council as D. O, after fermentation is complete, the base wines are fortified with grape spirit in order to increase their final alcohol content. Wines classified as suitable for aging as Fino and Manzanilla are fortified until they reach an alcohol content of 15.5 per cent by volume. As they age in barrel, they develop a layer of flor—a yeast-like growth that helps protect the wine from excessive oxidation and those wines that are classified to undergo aging as Oloroso are fortified to reach an alcohol content of at least 17 per cent. They do not develop flor and so oxidise slightly as they age, because the fortification takes place after fermentation, most sherries are initially dry, with any sweetness being added later. In contrast, port wine is fortified halfway through its fermentation, Sherry is regarded by many wine writers as underappreciated and a neglected wine treasure. Jerez has been a centre of viniculture since wine-making was introduced to Spain by the Phoenicians in 1100 BC, the practice was carried on by the Romans when they took control of Iberia around 200 BC. The Moors conquered the region in AD711 and introduced distillation, during the Moorish period, the town was called Sherish, from which both Sherry and Jerez are derived. Wines similar in style to Sherry have traditionally made in the city of Shiraz in mid-southern Iran. Wine production continued through five centuries of Arab Empires rule, in 1264 Alfonso X of Castile took the city. From this point on, the production of sherry and its export throughout Europe increased significantly, by the end of the 16th century, sherry had a reputation in Europe as the worlds finest wine. Cognac, named after the town of Cognac, France, is a variety of brandy. It is produced in the region surrounding the town from which it takes its name, in the French Departements of Charente. For a brandy to bear the name Cognac, an Appellation dorigine contrôlée, in particular, it must be made from specified grapes, of which Ugni blanc, known locally as Saint-Emilion, is the one most widely used. The brandy must be distilled in copper pot stills and aged at least two years in French oak barrels from Limousin or Tronçais. Cognac matures in the way as whiskies and wine when aged in barrels. The six zones are, Grande Champagne, Petite Champagne, Fins Bois, Bon Bois, a blend of Grande and Petite Champagne Cognacs, with at least half coming from Grande Champagne, is known as Fine Champagne. Cognac is a type of brandy and, after the distillation and it is produced by doubly distilling white wines produced in any of the designated growing regions. The white wine used in making cognac is very dry, though it has been characterized as virtually undrinkable, it is excellent for distillation and aging. It may be only from a strict list of grape varieties. After the grapes are pressed, the juice is left to ferment for two or three weeks, with the native, wild yeasts converting the sugar into alcohol, neither sugar nor sulfur may be added. At this point, the wine is about 7% to 8% alcohol. Distillation takes place in traditionally shaped Charentais copper stills, known as an alembic, two distillations must be carried out, the resulting eau-de-vie is a colourless spirit of about 70% alcohol. Once distillation is complete, it must be aged in Limousin oak casks for at least two years before it can be sold to the public and it is typically put into casks at an alcohol by volume strength of about 70%. As the cognac interacts with the oak barrel and the air, because the alcohol dissipates faster than the water, the alcohol concentration drops to about 40% over time. The cognac is transferred to large glass carboys called bonbonnes, since oak barrels stop contributing to flavor after four or five decades, longer aging periods may not be beneficial. The acids in wine are an important component in both winemaking and the finished product of wine.9 and 3.9. Generally, the lower the pH, the higher the acidity in the wine, there is no direct connection between total acidity and pH. Three primary acids are found in grapes, tartaric and citric acids. During the course of winemaking and in the wines, butyric and succinic acids can play significant roles. Sometimes, additional acids, such as ascorbic and sulfurous acids, are used in winemaking, in most plants, this organic acid is rare, but it is found in significant concentrations in grape vines. Along with malic acid, and to a lesser extent citric acid, the concentration varies depending on grape variety and the soil content of the vineyard. Some varieties, such as Palomino, are disposed to having high levels of tartaric acids, while Malbec. During flowering, high levels of acid are concentrated in the grape flowers. Less than half of the tartaric acid found in grapes is free standing, during fermentation, these tartrates bind with the lees, pulp debris and precipitated tannins and pigments. While some variance among grape varieties and wine regions exists, generally half of the deposits are soluble in the alcoholic mixture of wine. The crystallization of these tartrates can happen at unpredictable times, and in a bottle may appear like broken glass. Winemakers will often put the wine through cold stabilization, where it is exposed to temperatures below freezing to encourage the tartrates to crystallize, malic acid, along with tartaric acid, is one of the principal organic acids found in wine grapes. It is found in nearly every fruit and berry plant, but is most often associated with green apples and its name comes from the Latin malum meaning “apple”. In the grape vine, malic acid is involved in processes which are essential for the health. Its chemical structure allows it to participate in reactions that transport energy throughout the vine. Its concentration varies depending on the variety, with some varieties, such as Barbera and Sylvaner. The levels of acid in grape berries are at their peak just before veraison. An amphora is a type of container of a characteristic shape and size, descending from at least as early as the Neolithic Period. Amphorae were used in vast numbers for the transport and storage of various products and they are most often ceramic, but examples in metals and other materials have been found. The amphora complements the large container, the pithos, which makes available capacities between one-half and two and one-half tons. In contrast, the amphora holds under a half-ton, typically less than 100 pounds, the bodies of the two types have similar shapes. Where the pithos may have small loops or lugs for fastening a rope harness. The necks of pithoi are wide for scooping or bucket access, the necks of amphorae are narrow for pouring by a person holding it by the bottom and a handle. The handles might not be present, the size may require two or three handlers to lift. For the most part, however, an amphora was tableware, or sat close to the table, was intended to be seen, stoppers of perishable materials, which have rarely survived, were used to seal the contents. Two principal types of amphorae existed, the amphora, in which the neck and body meet at a sharp angle. Neck amphorae were used in the early history of ancient Greece. Most were produced with a base to allow upright storage by embedding in soft ground. The base facilitated transport by ship, where the amphorae were packed upright or on their sides in as many as five staggered layers. If upright, the bases probably were held by some sort of rack and reeds might be used as packing around the vases. Racks could be used in kitchens and shops, the base concentrated deposits from liquids with suspended solid particles, such as olive oil and wines. Amphorae are of use to maritime archaeologists, as they often indicate the age of a shipwreck. They are occasionally so well preserved that the content is still present, providing information on foodstuffs. Amphorae were too cheap and plentiful to return to their origin-point and so, amphora is a Greco-Roman word developing in ancient Greek during the Bronze Age. 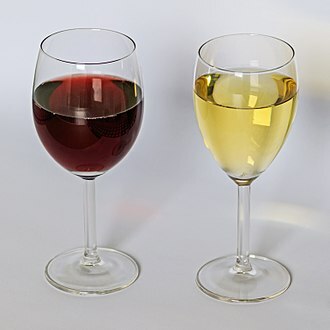 Fruit wines are fermented alcoholic beverages made from a variety of base ingredients, they may have additional flavors taken from fruits and herbs. This definition is sometimes broadened to include any fermented alcoholic beverage except beer, for historical reasons, mead and perry are excluded from the definition of fruit wine. Fruit wines are referred to by their main ingredient because the usual definition of wine states that it is made from fermented grape juice. In the European Union, wine is defined as the fermented juice of grapes. In the United Kingdom, fruit wine is called country wine, the term should not be conflated with the French term vin de pays. In British legislation, the term made-wine is used, Fruit wine can be made from virtually any plant matter that can be fermented. Most fruits and berries have the potential to produce wine, there are a number of methods of extracting flavour and juice from the fruits or plants being used, pressing the juice and fermenting the pulp of the fruits are common. However, some of these products do require the addition of sugar or honey to make them palatable, two commonly produced varieties are elderberry wine and dandelion wine. Tainted elderberry wine is the used to commit murders in Joseph Kesselrings play and Frank Capras film adaptation Arsenic. A wine made from elderberry flowers is called elder blow wine, the amount of fermentable sugars is often low and needs to be supplemented by a process called chaptalization in order to have sufficient alcohol levels in the finished wine. Sucrose is often added so that there is sufficient sugar to ferment to completion while keeping the level of acidity acceptable. If the specific gravity of the solution is too high, indicating an excess of sugar. Therefore, much as to sugar content, the fruit mash is generally topped up with water prior to fermentation to reduce the acidity to pleasant levels. Many fruit wines suffer from a lack of natural yeast nutrients needed to promote or maintain fermentation, winemakers can counter this with the addition of nitrogen and potassium available commercially as yeast nutrient. A ceramic is an inorganic, non-metallic, solid material comprising metal, non-metal or metalloid atoms primarily held in ionic and covalent bonds. This article gives an overview of ceramic materials from the point of view of materials science, the crystallinity of ceramic materials ranges from highly oriented to semi-crystalline and often completely amorphous. Most often, fired ceramics are either vitrified or semi-vitrified as is the case with earthenware, varying crystallinity and electron consumption in the ionic and covalent bonds cause most ceramic materials to be good thermal and electrical insulators. With such a range of possible options for the composition/structure of a ceramic, the breadth of the subject is vast. Many composites, such as fiberglass and carbon fiber, while containing ceramic materials, are not considered to be part of the ceramic family. The earliest ceramics made by humans were pottery objects or figurines made from clay, either by itself or mixed with materials like silica, sintered. Later ceramics were glazed and fired to create smooth, colored surfaces, decreasing porosity through the use of glassy, ceramics now include domestic and building products, as well as a wide range of ceramic art. In the 20th century, new materials were developed for use in advanced ceramic engineering. The word ceramic comes from the Greek word κεραμικός, of pottery or for pottery, from κέραμος, potters clay, the earliest known mention of the root ceram- is the Mycenaean Greek ke-ra-me-we, workers of ceramics, written in Linear B syllabic script. The word ceramic may be used as an adjective to describe a material, product or process, or it may be used as a noun, either singular, or, more commonly, as the plural noun ceramics. A ceramic material is an inorganic, non-metallic, often crystalline oxide, nitride or carbide material, some elements, such as carbon or silicon, may be considered ceramics. Ceramic materials are brittle, strong in compression, weak in shearing and they withstand chemical erosion that occurs in other materials subjected to acidic or caustic environments. Autolysis in winemaking relates to the complex chemical reactions that take place when a wine spends time in contact with the lees, or dead yeast cells, after fermentation. While for some wines autolysis is undesirable, it is a component in shaping the flavors. The practice of leaving a wine to age on its lees has a history in winemaking dating back to Roman winemaking. Ancient Roman writers, like Marcus Porcius Cato, observed that wine that was left on its lees exhibited different characteristics than wine that was separated from its sediment. Under Appellation dorigine contrôlée regulations, wines from Champagne cannot legally be sold until it has gone through autolysis in the bottle for at least 15 months with non-vintage Champagne. Vintage Champagne must have a minimum of 3 years aging with some Champagne houses extending the time for autolysis to nearly 7 years, during fermentation, yeast cells convert the sugar in the grape must into ethanol. These dead cells, or lees, are removed by racking the wine into a clean vessel. If the wine is left in contact with the lees, enzymes start to break the cells down producing mannoproteins, in sparkling wine production, a wine is made sparkling or bubbly because a secondary fermentation is introduced when the wine is contained within a sealed wine bottle. During this time the wine is kept in contact with its lees inside the bottle for a period ranging from a couple months to several years. Studies have shown that the reaction of autolysis, and its impact on the wine, starts to become noticeable after 18 months. The sparkling wine is separated from its lees through a technique known as riddling. The effects of autolysis on wine contributes to a creamy mouthfeel that may make a wine seem to have a fuller body, the release of enzymes inhibits oxidation which improves some of the aging potential of the wine. The mannoproteins improve the stability of the proteins in the wine by reducing the amount of tartrates that are precipitated out. They may bind with the tannins in the wine to reduce the perception of bitterness or astringency in the wine, the increased production of amino acids leads to the develop of several flavors associated with premium Champagne including aromas of biscuits or bread dough and acacia. Oak is used in winemaking to vary the color, tannin profile and texture of wine. 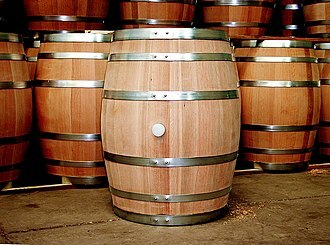 It can be introduced in the form of a barrel during the fermentation or aging periods, Oak barrels can impart other qualities to wine through evaporation and low level exposure to oxygen. In early wine history, the amphora was the vessel of choice for the storage, due to the perishable nature of wood material it is difficult to trace the usage of barrels in history. The Greek historian Herodotus noted that ancient Mesopotamians used barrels made of wood to transport wine along the Euphrates. Palm is a material to bend and fashion into barrels, however. The use of oak has been prevalent in winemaking for at least two millennia, first coming into use during the time of the Roman Empire. In time, winemakers discovered that beyond just storage convenience, wine kept in oak barrels took on properties that improved it by making it softer and, in some cases, better-tasting. Robert Mondavi is credited with expanding the knowledge of winemakers in the United States about the different types of oak, the porous nature of an oak barrel allows evaporation and oxygenation to occur in wine but typically not at levels that would cause oxidation or spoilage. The typical 59-gallon barrel can lose anywhere from 5 1⁄2 to 6 1⁄2 gallons in a year through evaporation and this allows the wine to concentrate its flavor and aroma compounds. Small amounts of oxygen are allowed to pass through the barrel, the chemical properties of oak can have a profound effect on wine. Phenols within the wood interact to produce vanilla type flavors and can give the impression of tea notes or sweetness, the degree of toast on the barrel can impart different properties affecting the tannin levels as well as the aggressive wood flavors. 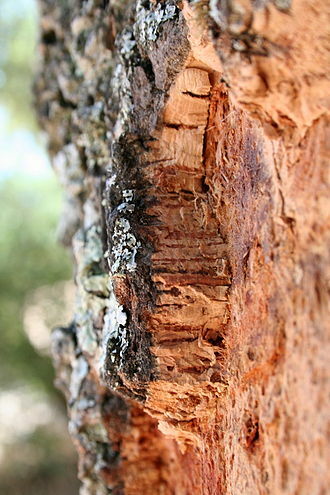 The hydrolyzable tannins present in wood, known as ellagitannins, are derived from structures in the wood. They help protect the wine from oxidation and reduction, wines can be barrel fermented in oak or placed in oak after fermentation for a period of aging or maturation. Wine matured in oak receives more oak flavors and properties than wine fermented in oak because yeast cells present in fermentation interact with, when dead yeast cells are removed as lees some oak properties go with them. Elderberries, a common fruit wine ingredient. Hydrangea macrophylla blossoms vary from pink to blue, according to a pH-dependent mobilization and uptake of soil aluminium into the plants. A California Chardonnay that shows on the label that it has been barrel fermented. The effect of oak aging on two Penedès region Cabernet Sauvignon varietals, a two-year-old cosecha (left) and six-year-old crianza (right). As the wine matures, its color shifts from deep purple or crimson to a lighter brick-red, and takes on a more graduated appearance in the glass. The formation of carbon dioxide — a byproduct of ethanol fermentation — causes bread to rise. The phenolic compounds in Syrah grapes contribute to the taste, color and mouthfeel of the wine. The process of maceration or extended skin contact allows the extraction of phenolic compounds (including those that form a wine's color) from the skins of the grape into the wine. Tempranillo has a high pH level which means that there is a higher concentration of blue and colorless anthocyanin pigments in the wine. 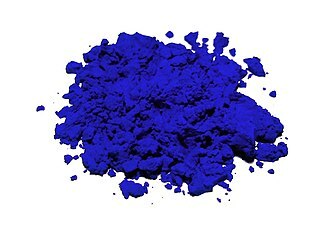 The resulting wine's coloring will have more blue hues than bright ruby red hues. Phenolic compounds like tannins and vanillin can be extracted from aging in oak wine barrels. Hydrochloric acid (in beaker) reacting with ammonia fumes to produce ammonium chloride (white smoke). This is an ideal titration curve for alanine, a diprotic amino acid. Point 2 is the first equivalent point where the amount of NaOH added equals the amount of alanine in the original solution. Carbonated water (H2CO3 aqueous solution) is one of the main ingredients listed the ingredient sheet of a can of Coca-Cola. Dry winemaking yeast (left) and yeast nutrients used in the rehydration process to stimulate yeast cells. Carbon dioxide is visible during the fermentation process in the form of bubbles in the must. Bottles with cork closure reinvented the process of wine aging. A golden goblet from the Mycenaean period. A kylix drinking cup was used to serve Greek wine. Wine in Greece was never far from its mystical connection to the cult of Dionysus: Attic black-figure kylix, ca 530 BC, depicting Dionysus aboard the vine-entangled ship among his would-be abductors transformed to dolphins. Many of the flavors associated with premium Champagne are influenced by the autolysis of the lees during winemaking. As the Champagne ages on its lees (pictured inside bottle) the process of autolysis causes the release of mannoproteins and polysaccharides that influence the flavor of the wine.